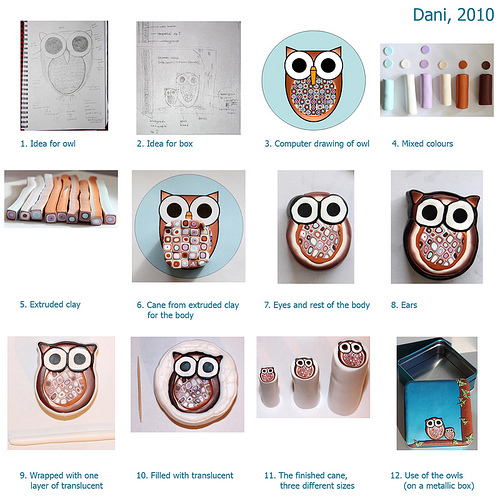 Danielle Hof originally from Switzerland, now in the Netherlands shared with us the process of creating her millefiori owl cane. 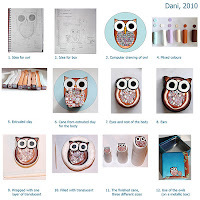 She is working at a laboratory, both working in clinical diagnostics and doing research on blood tests and on her free time she enjoy making jewelry made of polymer clay. Take a look at the next creation by Enchantress from Moscow, Russia. Isn't this amazing? only patches and threads. She secretly dragged from her mother's drawer needles, lace, crochet hooks, and all of those quietly moved to her room. 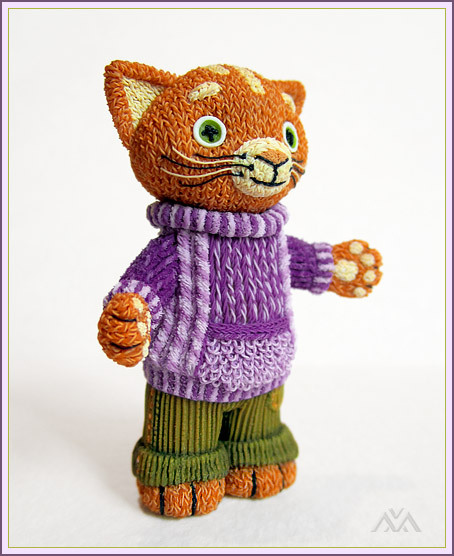 In her recent creation, she made this amazing kitty, it is 49 mm, not an ounce of textiles and paints, polymer clay only. No stamps, too, only 100 meters of different "plastic yarn" with a thickness of 0.1-0.2 mm. 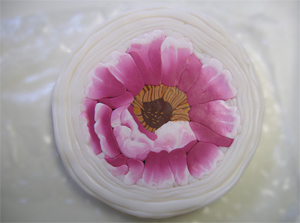 Another short flickr tutorial is by Carole B "CeeEee" on her creation of a polymer clay peony millefiori cane. Millefiori is probably her favorite technique, lot's of millefiori creations in her photo stream. You can find the packing of the cane in one of the links and the final cane after reduction on the second link. A simple and easy new tutorial by Kael - this time it's a faux vinyl flower pendant. The flowers were inspired by a pair of black vinyl sandals that she purchased a couple of weeks ago. Kael was mentioned in PolymeriOnline blog before, with more of her tutorials. You can check them out here and here. Большое спасибо за интересный обзор о творчестве мастеров. 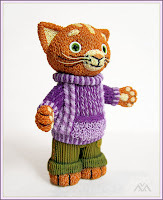 Beautiful items and very nice post!